Back in the day, I used to work at McDonalds the place full of Happy Meals, happy smiles and people singing I’m loving it. At first, it seemed like a dream: I was able to eat the food I love anytime I wanted. Thinking about that past experience taught me a valuable lesson about hourly pay which still applies today. Do a Google search on hourly billing and you’ll see some different perspectives on whether or not freelancers should bill hourly. 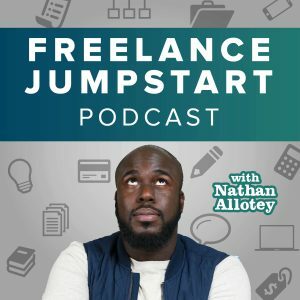 There’s no definitive answer because it’s all dependent upon the unique freelancer to client relationship. By the age of 17, I learned everything there was to learn so much so that they offered me a manager position. No, I didn’t want to become a manager because I was in high school, I cared more about sports and videos games instead of being a manager at McDonalds. At the time, I was getting paid by the hour which amounted to getting a little over minimum wage and something about that bothered me. Here’s the thing: some of my coworkers were getting paid just as much if not the more than me even though I was more versatile and mastered more job duties. I knew how to do everything while they only did a few things and not even to 90% efficiency. Who do you feel was more valuable to the company? The young kid with a bright smile, courteous tone of speech, who knows how to do math or the overweight late guy who only works in the grill flipping burgers because he has a rude attitude and barely cleans his shirt? The point I’m making is simply this, I learned everything there was to learn and I was a very versatile team member for McDonald’s, however getting paid by the hour did not reward me. Even though I learned every skill, became faster, and increased efficiency over time I was still at the same merger hourly rate. It felt like I was being penalized. That very thing happens to some freelancers who charge an hourly rate. If you choose to charge an hourly rate and become more efficient there’s no reward or incentive to work quickly. The longer you take the more money you make, the faster you are the less you get. This can be an interesting balance to try to create a win-win for both the freelancer in the client. What happens when you want to make more money? It’s either you work longer hours or you increase your hourly rate. At a certain point in time, your hourly rate will reach a point where people feel it’s astronomical. $100 an hour not bad; what if you get so efficient at your process it only takes you 2 hours do you think you be able to charge $2,000 an hour without setting off a red flag. Or maybe your estimation of the amount of time it took to complete a task was off now the client who thought it was going to take 100 hours now it’s taking 150 hours which is too much risk on the client end. It’s best no to even focus on how long a task takes, what’s important is the deliverable. I recommend you plan to have an hourly rate but only when you have a good idea of how long it takes you to complete a task you have accounted for the administrative tasks also. Sure, don’t get me wrong there are sometimes in which you find a client that won’t mind an hourly rate because they respect your work. I know a freelancer who charges $75 an hour and bills for 30 hours a week. The client doesn’t mind paying him $2,250 a week because it is still cheaper and easier than hiring an employee. This is the exception and not the norm. If you’re in a situation where you really can get away from hourly pricing start timing yourself and see if you can get the client to pay you for a longer cycle. Whether that is a week or a month pays for a month I will work a number of hours for you for a week I will work these amount of hours for you at this rate that way you can, at least, get larger quantities of income and not have to do administrative tasks as often but the client still gets the feeling of hourly rates. Ultimately don’t fall for the McDonalds hourly rate trap where you do more and get less.